Beautiful!!! Such a graceful and royal looking image!!!! Huge FAV! This is just a wonderful shot-- I love the arc of the tail against the gray/white ice! I also love the last six bird shots. Beautiful! 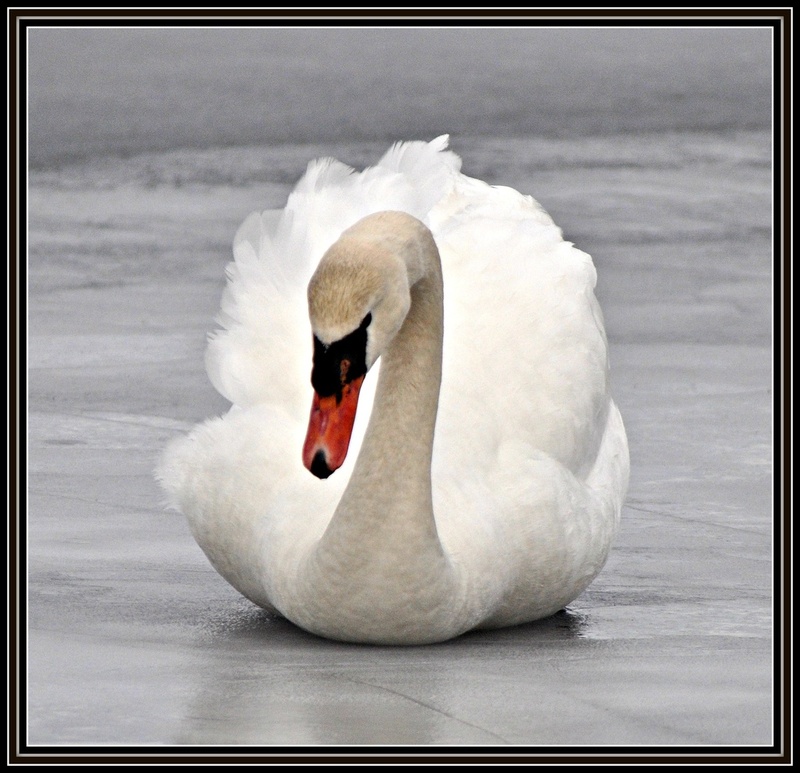 Swans are so graceful looking..even this on the ice looks elegant. fav. He's in just the right position for a perfect picture. Great catch. Wow, fantastic shot, she must be frozen! That's an incredible sight! Great capture! wishing he was in florida. What a beautiful bird - and what a beautiful shot! @cazann @tommiel @bruni @beryl @eyesmile Hey thanks for the fabs. Much appreciated!! Glad you liked the swan. @mittens @milaniet @boatpainter @chard @vskolnik @swilde @anazad511 @windridge @chris17 @tremerryn @mrssmith203 @kbird61 @sgiesman @barbcapecod @cdonohoue Thanks for your wonderful comments on my swan shot. Awesome shot, Myrna - was he able to get off the ice? @lyncook @darsphotos Thanks for the fabs, they helped the swan get on the PP, most appreciated. @jankoos Yes he eventually went down to the other end of the pond where there was water to swim in. Wow, so so beautiful and so beautifully framed. Fav. @daisyjuds @sabanford Glad you like this one. @carolmw Thanks for the nice comment and fav. @cimes1 @kchuk @mei_photography Thanks for the lovely comments and Mei thanks for the fav. Most appreciated.